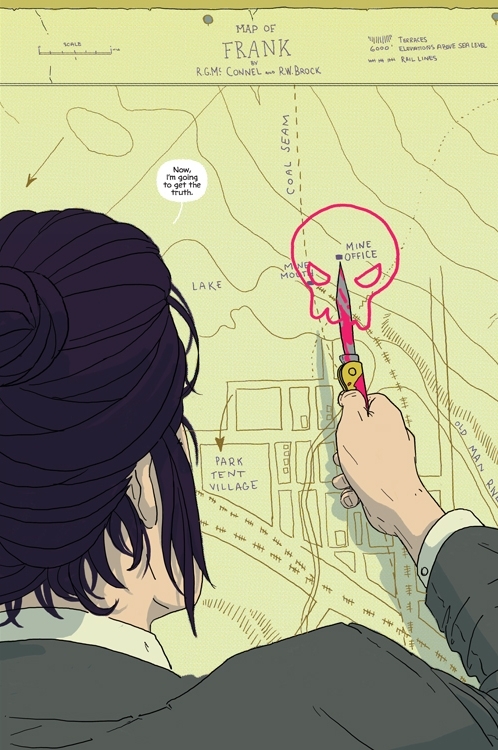 I get a bunch of books from various creators and publishers for the Comics Alternative podcast, and we don't get the chance to speak about them all on the show. 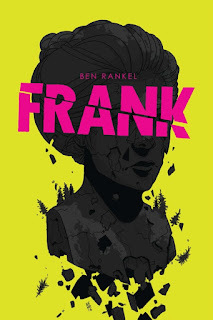 The book I am writing about today, Frank, falls into that category, and I think it's a unique and compelling book well worth checking out. It walks the fine line between being entertaining and informative, and it both moved me and taught me about Canadian history. This tale is set in 1903 in the town of Frank, which was a coal mining town next to Turtle Mountain in Alberta. The protagonist is a troubled woman named Eve Lee, who finds herself frequently in the local drunk tank. One day, her old flame Oscar mysteriously disappears and she suspects something shady has happened to him, so she starts an investigation. What she discovers (without spoiling so much) is that something is not quite right with the records of the local mining company. As you might guess, at least two murders are uncovered, and much of this book is involved with Eve trying to get to the bottom of matters while facing various roadblocks. All the while there are slight tremors and disturbances in the mine, and the latter parts of the book occur simultaneously with the Frank Slide, the most deadly rock-slide in Canadian history, when 90 million tons of limestone came loose from Turtle Mountain and decimated the town of Frank. In the end, I felt that this book was a great blend of fact and fiction, with interesting characters and a complex plot that kept me intrigued throughout. 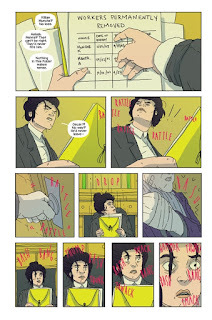 It was the debut graphic novel of Ben Rankel, an illustrator who has had work in a number of indie comics anthologies. He speaks about his work on this book in this interview. All of the reviews I have read remark positively on the book. 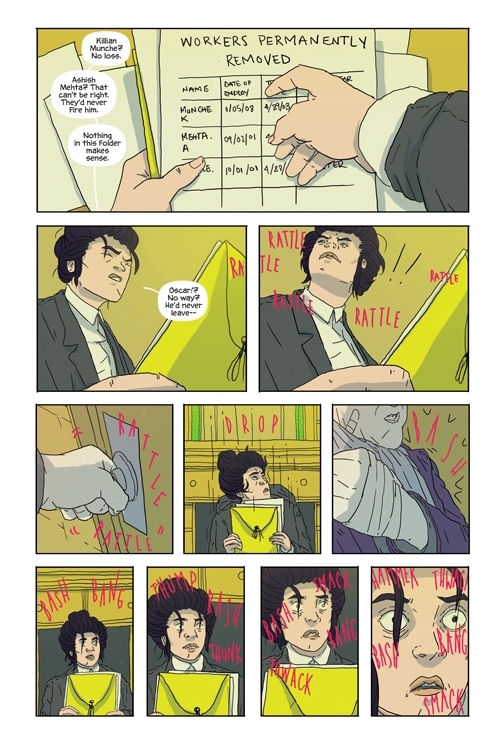 Kevin Skinner wrote, "FRANK is both faithful to a profound moment in Canadian history while still creating something new and exciting to engage comic fans who may not even care about Canadian history. " The reviewer at 49th Shelf called Rankel "a gifted graphic novelist, soon to be amongst the most highly regarded." Insha Fitzpatrick summed up, "Frank presents a historical event with a creator that knows how to honor it but also expand it, creating a story that’s heartbreaking yet filled with world building and characters that are intense and riveting." Frank was published by Renegade Arts Entertainment, and they offer more info about it here.